The latest issues of ASN Kidney News talks about a very important issue being the nephrology workforce. Given the rise in population and the aging nephrologists, along with decline in medical residents applying for nephrology, there is going to be a big shortage of Nephrologists in the coming few years! What can be done to help decrease this burden that we might all be faced with? Removing the "fear" of renal medicine that many residents and medical students carry. 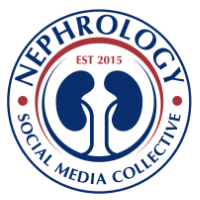 What we need to do as a community is to "package" and "sell" Nephrology as a FUN, CHALLENGING and EXCITING field to our students and residents. It is !!! and we just have to do a better job with promoting our field!